This was a tough call – in fact, we swayed between this and the Pro-Ject Juke Box S2 half-a-dozen times. The Pro-Ject may have the higher feature count, but this turntable offers an intriguing level of ease of use and sound quality. 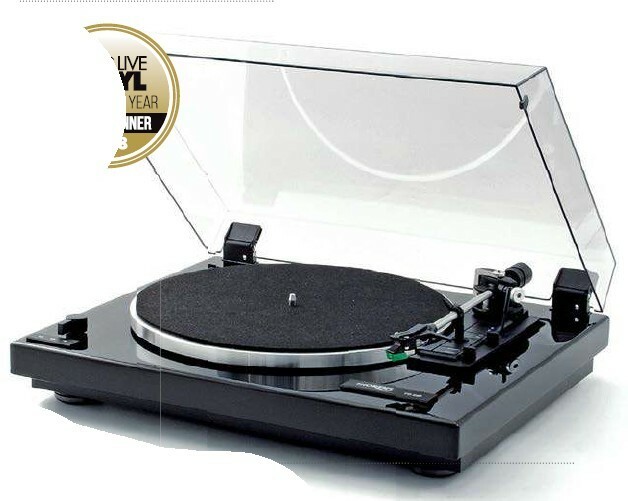 It was the ease of use and the automatic operation that tipped the balance here – partly because automatic turntables under £1,000 that sound this good are few and far between. Now on sale! 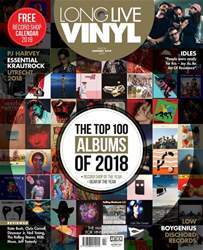 Inside our end-of-year review special we announce the top 100 new albums of 2018, voted for by an expert panel of music writers, record shops, festival organisers, bands, and label bosses; plus Idles, Low and Boygenius sit down to tell us how they made three of the year’s outstanding records. The awards don’t stop there, as we name Long Live Vinyl’s first Record Shop Of The Year, with more than 8,000 readers helping us find the nation’s favourite store. If you’re on the lookout for a new turntable, amp, speakers or headphones this Christmas, you won’t want to miss our Gear Of The Year feature. Elsewhere this issue, we round up 40 essential krautrock classics to add to your collection, take an in-depth look at PJ Harvey’s 1993 album Rid Of Me and meet Ian MacKaye, the man behind legendary Washington D.C. label Dischord Records. If all that’s not enough, our newly expanded reviews section is packed with new albums, reissues, boxsets and hardware to add to your Christmas list. Long Live Vinyl is THE magazine for vinyl lovers!